Britain, in common with a number of other countries, is currently in a recession. Investment has been curbed, output in a great many industries has fallen, and unemployment has risen. Historically, recessions have been a central feature of capitalism since the industrialisation of society. Britain has endured three particularly severe recessions; the great depression of the 1880s, the slump of the 1930s, and the more recent recession of the 1980s. We may now be in the fourth really major slump to have hit Britain; time will tell. This education document will principally look at some of the theories that have been put forward to explain why periods of relative economic prosperity are regularly and sometimes violently interrupted by periods of economic downturn. In his 1935 Genera Theory of Employment, Interest and Money Keynes argued that slumps are caused by a lack of effective demand in the economy. Like Karl Marx, Keynes rejected Say’s law that “every seller brings a buyer to market”. Keynes saw that profits did not automatically have to be spent and could be hoarded or saved, thereby causing a dislocation in production. Keynes argued that in a slump there is generalised overproduction, that is, that existing production and output has outstripped effective market demand. He argued that this arose because investors find that it is not in their interests to invest further, and decide to hoard their money instead. Keynes also held that the higher someone’s income, the lower their “propensity to consume” would be: they would spend proportionately less of their income as it increased, and save proportionately more. Indeed, he came to believe that a too unequal distribution of income alone could lead to a permanent slump if nothing was done about it. The solution Keynes put forward to this apparent problem is important as it came to be taken up, at least in theory, by all the major political parties in this country and many others elsewhere, during and after the Second World War. Keynes’s solution was not a simple one, but comprised three basic parts. “We should at once increase expenditure, both on consumption and on development i.e. both on consumer goods and capital goods. We should give people more money and not less to spend. If need be we should borrow to cover government expenditure. We need no aim at balancing the budget year by year”. The second aspect of Keynes’s plan for capitalism without slumps was that the system of taxation should also be changed. Those with higher incomes and a lower propensity to consume and a tendency to hoard and save a significant part of their income, would be taxed more and those on low incomes would be taxed less. This re-distribution was again intended to increase consumption and market demand. The third major idea put forward by Keynes was that it was no longer necessary for governments to “watch and control” the creation of currency. The resulting printing of an excess of paper currency has been the real cause of the persistent rise in the price level in this country since 1940 or thereabouts. These Keynesian theories on how to avoid a slump held almost unchallenged sway until the 1970s. The idea that governments can intervene in the economy to provide employment and offset a slump stems largely from Keynes. However, since the mid 1970s governments in Britain have tended to distance themselves from Keynes. Neither the Conservative Party nor the Labour Party now believe in the whole Keynesian package. Why is this? The answer lies in the practical failure of Keynesian policies to offset economic recessions wherever they have been applied. The most notable attempt to put Keynes’s ideas into practice in this country occurred in 1974 when the newly-elected Labour government under Harold Wilson ran huge budget deficits, increased government expenditure and greatly expanded the note issue to literally give people more money to spend. When the policy was embarked upon, unemployment was rising towards the now relatively low level of about 750,000. Three years later, after this policy had been applied, unemployment was at 1.6 million. It had more than doubled. This type of experience has been repeated many times in other countries such as France, where Mitterand in 1981-82 did the same thing and eventually had to abandon his attempt at using Keynesian policy to avert a slump because it proved ineffective in the face of rising unemployment. What happened during the 1970s and early 1980s was that Keynesian policy clearly failed when put to a practical test. In addition, its adherents had no real theoretical answer to the appearance across much of the world of what the economists call “stagflation” – rising unemployment and industrial stagnation coupled with persistently-rising prices. In Keynesian theory unemployment and stagnation were a product of deficient demand, while rising prices were the product of an excess of demand in the economy. So a situation where prices are sharply rising at the same time as the economy is in a recession cannot be explained in terms of Keynesian theory. Although only political mavericks and those on the wilder reaches of Labour’s left-wing now still unashamedly use the language of Keynes, his influence has remained to the extent that many still hold the view that governments can, by their manipulation of the economy, avert a depression. The fact of the matter is that if you are looking for reasons why there are recessions, and how that situation can be ended, you will look in vain to the capitalist political parties whose aim it is to see that the profit system works efficiently and who promise that they can make it work smoothly without periods of economic downturn. To get a proper understanding of the phenomenon of recessions you have to look back to someone the press and TV tell us has been discredited and whose influence in the world is supposed to have been wholly bad – Karl Marx. It was Marx who developed a real understanding of how the capitalist system operates and why it constantly fails to live up to the hopes of the politicians who preside over it. Marx argued that “capitalist production moves through certain periodical cycles. It moves through a state of quiescence, growing animation, prosperity, over trade, crisis and stagnation” (Value, Price and Profit, chapter XIII). He showed that capitalism’s drive towards expansion is not a straight upward line but proceeded through cycles. Though there is a general upward trend in terms of total production, this is necessarily punctuated by periods in which production falls and unemployment grows. This analysis is, of course, in line with capitalist reality. Throughout its history capitalism has developed in this way. No-one has prevented slumps from happening or been able to ensure permanent boom conditions. That much is self-evident. Marx himself did not leave a fully worked-out theory of why crises and depressions happen; a subject he proposed to deal with at length in the projected 6th volume of Capital. However, in part of his published analysis of the laws of motion of the capitalist system, Marx did leave behind some clear ideas and pointers as to why crises and recessions inevitably occur under capitalism. Most writers and political organisations, claiming to stand in the Marxist tradition, have tended to put one of two basic types of view about crises and recessions. The first is that it is the falling rate of profit due to technical progress that is the cause of crises and slumps. The second sees slumps being the product of the restricted consumption of the working class. Both views are inadequate. The rate of profit is the rate of return on invested capital. It is expressed by the formula: S/(C + V), or surplus value (the unpaid labour of the working class), divided by constant capital (investment in machines, buildings, raw materials etc) plus variable capital (wages and salaries). Surplus value arises solely from the variable part of the total capital, but as capitalism progresses technically so the amount of capital invested in machines and materials and the like will tend to rise. This means that the source of surplus value, variable capital, declines relative to constant capital and, other things being equal, so will the rate of surplus value to total capital. Marx’s wrote about the tendency of the average rate of profit to fall in response to the views of classical economists such as Ricardo and John Stuart Mill, who had contemplated the eventual stagnation of the capitalist mode of production because the rate of profit would fall so low. Marx showed why this would be a very distant prospect since the tendency of the average rate of profit to fall in capitalism would be a very slow process indeed. For Marx, the falling rate of profit was not an inexorable law of capitalism, but simply a tendency that could be slowed, and even reversed, by countervailing factors. These counter-tendencies generally involve cheapening the elements of constant capital or increasing the amount of surplus value extracted from the workers either by increasing productivity and the intensity of work or by lengthening of the working day through the introduction of shift work and so on (see Capital Vol III, chapter 14). Despite this, a number of organisations insist that the long-term tendency for the average rate of profit to fall is central to Marx’s explanation of economic crises. This is, by and large, the view taken by the SWP (see, for instance, Explaining the Crisis by Chris Harman, Bookmarks, 1986), by the RCG (see The Revolutionary Road to Communism in Britain, Larkin Publications, 1984) and others, and it comes as no surprise that, whenever capitalism is in crisis, they argue that the final state of stagnation has been reached, or is just around the corner. In reality, of course, capitalism has not had a final crisis or breakdown. Nor is it true that a long-term fall in the average rate of profit is the causal explanation of crises and depressions. For this to be so, technical progress in capitalism, and the increase in constant capital relative to variable capital, would have to be extraordinarily rapid, and in practice it rarely, if ever, is. The tendency of the rate of profit to fall due to technical progress has therefore to be dismissed as a cause of crises. A more interesting variant on “the tendency of the falling rate of profit as a cause of crises” view is the one which focuses on the falling rate of profit in conjunction with the idea that the onset of a crisis corresponds to a period of insufficient production of surplus value. This is the view associated with writers like Paul Mattick (see his Marx and Keynes, Merlin Press, 1980 and Economic Crisis and Crisis Theory, Merlin Press, 1981) and from a general theoretical point of view it does have a limited validity. This theory is valid in the sense that, in theory, after a prolonged period of capitalist prosperity the reserve army of labour could all but disappear, forcing wages up which would cut into profits and lower the rate of profit itself. Whether this has actually been the cause of any crisis in recent years in a country like Britain is rather more open to question. The international mobility of labour ensures that the reserve army of labour is not entirely depleted in a period of boom. There is also the fact that there are millions of women workers, housewives and others who ebb and flow on the fringes of the labour market. There are other difficulties associated with the view that crises are a product of rising wages cutting into profits. After all, if this is the cause of a crisis then the solution would appear to lie in increasing the production of surplus value by increasing the exploitation of the working class. This would most likely involve cuts in real pay for the workers, leading to increased profits. It should be obvious that, if taken far enough, this argument can degenerate into pure Tory Party-style propaganda along the lines of “wages are the real cause of the crisis; if the workers and trades unions would forgo wage increases then the problem would be solved”. What this view overlooks is that when a crisis occurs, simply increasing the production of surplus value is not the major precondition for a return to a boom situation. In a capitalist crisis there is an overproduction of commodities for market sale, so there will already be large stock-piles of commodities that no-one can buy. There can, therefore, be little to gain by reducing the effective demand of the working class through pay cuts so that investment can be increased even further and more commodities can be produced when there is no-one willing or able to buy them. Nor is there any empirical evidence to suggest that when a crisis has begun and unemployment starts to rise wage restraint can provide a solution. Far from it. When the last Labour government imposed wage restraint after an economic crisis unemployment continued to rise steadily, and that has been an experience repeated on innumerable occasions across the globe. The second type of view on the cause of crises and depressions put by some of those in the Marxist tradition is that crises are caused by underconsumption. It has been put in a variety of forms by a variety of people, but perhaps most notably of all by Rosa Luxemburg in her book The Accumulation of Capital. 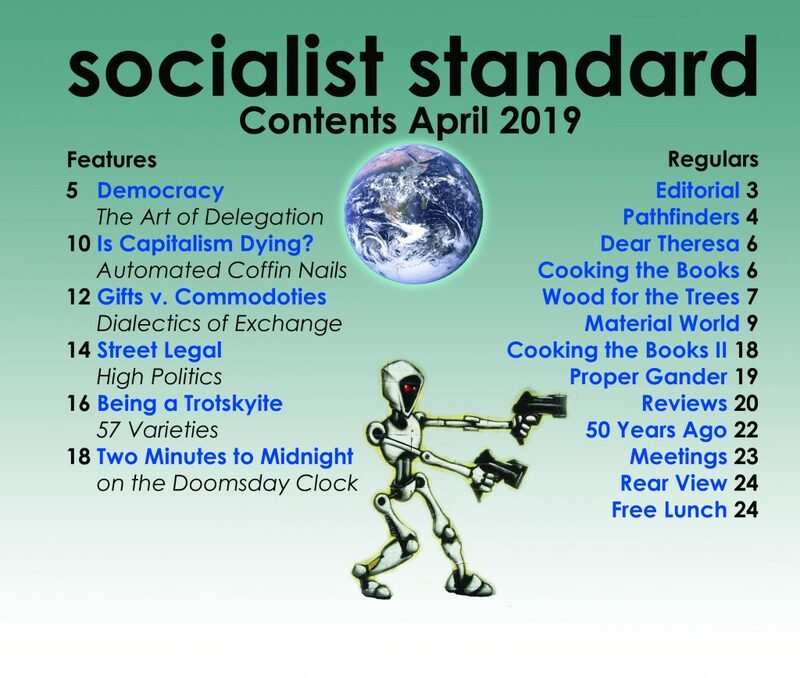 Today it is held by organisations like the International Communist Current who say that capitalism is in a state of imminent collapse (see ICC publication The Decadence of Capitalism). Rosa Luxemburg’s particular theory, which is probably the underconsumption theory of crises most frequently put today, was that capitalism would collapse because of an inability to sell all that was produced. She argued that demand was simply a reflection of consumption (as the amount consumed by the working class and capitalists added together) so that if part of the profits of the capitalist class are re-invested rather than consumed, then consumption and overall demand are reduced. The result of this is that there is nobody who can buy the products in which the re-invested profits are embodied. Luxemburg’s argument was therefore that accumulation and expansion are impossible under “pure” capitalism, and that capitalism relies on non-capitalist areas of the world to buy the surplus product. As she wrote: “as capital approaches the point where humanity only consists of capitalists and proletarians, further accumulation will become impossible”. Those who have accepted Luxemburg’s reasoning have put the view that capitalism became a world system around the start of the First World War and that ever since it has struggled to find markets in which the surplus product can be realised in the ever-diminishing non-capitalist periphery of the world. On this theory, the crisis of capitalism is a permanent one and is reflected in a global saturation of markets that can only be temporarily broken through world war and the reconstruction that would follow such a war. This explanation of capitalist crises is far from adequate. The main reason for this is that demand in capitalism is not, as Luxemburg intended, simply determined by the combined consumption of the workers and capitalists. Overall demand is not determined by the consumption of the workers and capitalists but by this plus the investment of the capitalists (what they spend on new means of production rather than on consumer goods for themselves). There is therefore no permanent surplus production in Luxemburg’s sense and no global saturation of markets. In any case, the reason for recurring crises and depressions cannot be found simply in the sale of commodities on the market any more than it can be solely found in the sphere of production. The actual explanation of crises and depressions put forward by Marx, particularly in Vol II of Capital recognizes that capitalist crises are simultaneously problems of production and of the realisation of surplus value on the market. The explanation of slumps suggested by Marx does not simply rely on a long-term tendency which may or may not be operating at any given time nor on the entirely mistaken view that capitalist production will always tend to outstrip total market demand. The explanation suggested by Marx goes to the root nature of the capitalist mode of production itself. Capitalism differs from other modes of production such as feudalism or chattel slavery in that under these previous forms of class society, most production was carried on for use. Capitalism, having separated the producers from the means of production and only allowing them access to them via the exploitative wages system, promotes productive activity only when goods can be sold on a market with the expectation of profit. Decisions about production – from what is to be produced, to how much of it should be produced and where – are not taken with the satisfaction of human needs in mind. Decisions about production are decisions to produce those goods that appear the most likely to procure a profit when sold on the market, at any given moment. This drive to procure a monetary profit is not essentially a product of the desire of the capitalists to have a luxurious lifestyle. If a capitalist or group of capitalists are to stay in business they must accumulate capital to expand and survive against their competitors. It is this process of re-investment that uses up much of the profits made by the capitalist class. It is in this way – through the exploitation of workers, the profitable sale of commodities, and the accumulation of capital – that capitalism is able to expand and develop the means of production. But this expansion is not planned expansion. The operation of capitalism is not planned at the level of the whole economy. Decisions about investment and production are made by thousands of competing enterprises operating independently of social control or regulation. The unplanned nature of production, or the anarchy of production as Marx called it, is at the heart of Marx’s explanation of why capitalism is periodically beset by crises and depressions. Because production is not socially regulated, some enterprises will eventually invest and expand production to such an extent that not all of the commodities produced can be sold on the market at a profit. In the drive to accumulate capital as rapidly as possible they over-anticipate market demand and expand their productive capacity beyond that which the market can absorb. Unsold goods begin to pile up. Expected profits are not realised, and production has to be curtailed. This, of course, will have a knock-on effect. The enterprises’ suppliers will be faced with reduced demand and will no longer be able to sell all their products either, and this in turn will affect their suppliers’ suppliers and so on. The size and nature of the enterprises or industries which over-invest and over-expand their productive capacity in this manner will, of course, affect the nature of the crisis. A small number of peripheral enterprises over-expanding and perhaps going bankrupt will not have nearly the impact of one or more key industries over-expanding. Indeed it is one or more key industries over-expanding for the market that is the usual cause of a capitalist crisis and subsequent slump. DEPT II, producing means of consumption, or “consumer goods”. Marx’s explanation of crisis was complicated enough, but the actual division of capitalist industry is, of course, much more complicated than this simple two-sector model. Marx’s aim, though, was to show that for capitalist accumulation and growth to be achieved steadily, then there would have to be a balanced growth between these two departments of production. Put simply, if say the consumer goods sector expands disproportionately more than the capital goods sector, then at some point the enterprises in that sector will not be able to sell all their products and will have to cut back on production and orders of capital goods causing general crisis to break out. Where this two-sector model is rather a simplification is that, if capitalist growth is to be smooth, all sectors or sub-sectors of the economy must expand in a balanced and proportionate manner. But because of the general anarchy of production in the capitalist system there will inevitably be a disproportionate investment and a disproportionate growth between the various sectors of the economy. When capitalists invest to expand production, they do not objectively consider the needs of the other sectors of the economy; they are interested in the rate of return they can get on their own investments and it is not therefore surprising that over-investment and over-expansion takes place in key sectors of the economy. It occurred in key industries in the consumer goods sector before the Wall Street Crash of 1929 and it has recently occurred in a number of those enterprises and industries that expanded at a fast pace in the 1980s, particularly micro-electronics, computing, information technology and so on. Let us now look now at what happens once the crisis has occurred and the slump phase of the economic cycle has been entered. One of the most important factors to consider when capitalism is moving from one stage of its trade cycle to another is the rate of profit – or, to be more precise, short to medium term fluctuations in the rate of profit (as opposed to the long-term tendency discussed in a previous section for the average rate of profit to fall due to the replacement of variable capital with constant capital). During a crisis and at the onset of a slump the rate of profit on investments will fall dramatically as firms are unable to sell all that has been produced and so are unable to realise surplus value embodied in them. But this decline in the rate of profit is not permanent; it is part of the economic cycle, and during a slump conditions eventually begin to emerge which point towards an increase in the rate of profit and renewed investment. No slump is ever permanent. This is because during a slump three basic things happen. The first is that a number of enterprises will go bankrupt and their assets will be bought cheaply by their rivals. The result of this is a depreciation of the capital invested in them leading to a halt, and eventual reversal, in the decline of the rate of profit. An important factor in this is the decline in the value of the stocks that have built up towards the end of the boom, during the crisis and in the early stages of the slump. The second thing to happen in a slump is that there is the re-appearance of a large reserve army of labour which makes an increase in the rate of exploitation possible. There will probably be a halt in the growth of real wages and perhaps even a cut, which will serve to increase the rate of profit without, at this stage of the economic cycle, damaging the prospects for realisation of surplus value on the markets, because capital depreciation and destruction of stocks will have been taking place and the supply of commodities will have been curtailed. The third factor is interest rates. As the slump develops, interest rates will tend to fall naturally as the demand for money capital falls away. This will have a beneficial impact on the rate of industrial profit and, in conjunction with the other two factors, will improve the prospects for investment and expansion. Because of these three factors – capital depreciation, an increase in the rate of exploitation, and naturally falling interest rates in a slump – enterprises will start expanding production again as investment picks up and as demand for products grows, with more workers being employed again. This will lift the economy out of the slump phase of the cycle, and industry will be in the state of growing animation referred to by Marx that occurs before a boom. The cycle will then have come full circle. The important thing about all this is that the crisis and depression phases of the economic cycle do not occur because something has “gone wrong” with the operation of the capitalist economy. On the contrary; they are in fact an entirely necessary feature of the development of capitalism, serving to rid the system of its more inefficient enterprises where returns on investments are low, and thereby promoting investment and expansion in those enterprises fit enough to survive. Far from being an instance of capitalism “going wrong” in some way, slumps show that capitalism is working normally and in accordance with its own economic laws and mechanisms of development. Crises and depressions are inevitable features of the capitalist system of production. However, there is one objection that has been put to this. If slumps are caused by disproportions of production leading to short-term falls in the rate of profit and overproduction of commodities for the available market, then surely the answer to capitalism’s trade cycle lies in trying to plan production so that disproportionalities and periodic over-expansion do not occur. In other words, if the root cause of economic crises is the anarchy of production, why not institute a bit of planning? Why can’t capitalism be planned through cartels or monopolies and through the widespread nationalisation of industry? There are two basic answers to this objection. The first is that planning capitalism down to every investment decision, every price, every wage and so on is impossible. Planning every aspect of economic activity under some sort of totalitarian state capitalism as has existed in the Soviet Union and elsewhere, simply can’t be done. Admittedly, Russia, China, Albania and other countries had a good try, but it is now generally agreed that this did not stop unbalanced growth and overproduction for market demand occurring. “From1928 onwards growth really was regular and uninterrupted . . . unlike the capitalist economy, the USSR has experienced no recession, no crisis of overproduction leading to an absolute fall in production for more than half a century” (“A Theory Which Has No Withstood the Test of Facts” in International Socialism 49, December 1990). Mandel is looking at Russia through rather rose-tinted spectacles. If we take the period 1966-74, for instance, when a slump was beginning to break out in the West, the difference between growth rates in minimum growth years and maximum growth years averaged 50 per cent in East Germany, 100 per cent in Bulgaria, 130 per cent in Russia and 228 per cent in Poland! So much for steady balanced growth and being able to entirely plan away the capitalist trade cycle. Apart from the practical difficulties of trying to plan capitalism in the fashion of the former state-capitalist countries, there is another reason why state-capitalist planning can represent no long-term solution to the problems of capitalist development. Although the former state-capitalist economies were unable to escape the capitalist trade cycle, the operation of these economies was different in some respects from the Western-style private enterprise-based capitalism. This was because they were not subject to the direct operation of Marx’s law of value. Prices often did not at all reflect the labour value of commodities and inefficient enterprises were not penalised and purged from the system as they are in the West. The process by which a slump serves as a means to future development by eliminating the weakest productive units did not apply. What tends to happen where there is widespread state capitalism is that inefficient enterprises and productive methods are supported, wastage is tolerated, and new technology in most sectors only gets introduced at a slow pace. In short, the “purging” benefits of a full-blown capitalist slump are lost. The state intervenes to offset the development of mass unemployment, and does this by directing capital towards inefficient units of production and through planned over-staffing and so on, at the expense of the more efficient sectors of the economy that have to support the inefficient sectors. Thus, there is an attempt to “cheat” the law of value. In the long run, this can only have disastrous consequences for the development and growth of the economy as a whole. Stagnation sets in and, as events have shown, eventually threatens the stability of the political structure and the position of the privileged ruling class. 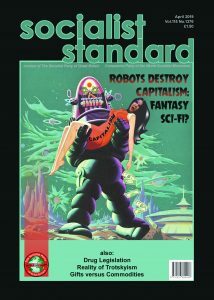 Attempts at planning capitalism’s anarchy of production have always ended in disaster, often bloody disaster, and state-run capitalism does not represent a solution to the problems of the capitalist economy – by offsetting some of the worst effects of slumps, it can only make such problems worse in the long run. As Karl Marx himself realised, the only lasting solution to crises and depressions, and for that matter the other problems that beset the capitalist system, is socialism. Government tinkering and state planning are no answer. A social transformation needs to take place so that production will no longer be carried out for profit and so that articles of wealth will be produced for use and not for sale on the market. We all know through experience that capitalism can’t be planned and cannot ensure the well-being of all members of society. Only socialism can do that by removing the capitalists’ ownership and control of the means of living and by ensuring that the anarchy of production is removed by the abolition of profits and wages, prices and money. Production for use without the operation of the market mechanism and the perennial search for profits is the way to solve the problems of economic instability and crises of overproduction. In socialism production can be regulated without any of the destructive effects of capitalist crises and depressions. Any overproduction that occurs will be in relation to real needs and not to the market where needs only count if they are backed up by money. In fact, production for use could make a permanent stockpile of useful materials available, to be topped up as and when necessary. Overproduction, should it occur, would not present the same problem for socialism as it does for capitalism. Only a truly perverse society could find periodic over-expansion and overproduction of goods a problem at the same time as millions and millions throughout the world are going without. That is why socialists urge workers to put an end to the anarchic capitalist system of production which has outlived its usefulness for humankind and now stands as a barrier and a fetter on future human progress. “The Economic Crisis – The Marxian Explanation” , World Socialist No 1, April 1984. “Crises, Catastrophe and Mr Strachey”, March 1957. “Further Reflections on Crises”, April 1957. “The Keynesian Myth”, February 1966. “Why They Want More Unemployed”, November 1966. “Inquest on Keynes”, April 1968. “Rosa Luxemburg and the Collapse of Capitalism”, January 1969. “Marx and Engels and the Collapse of Capitalism”, February 1969. “Marx and Keynes on Unemployment”, June 1971. “The End of Full Employment”, November 1971. “Unemployment – Fact and Myth”, February 1973. “How Capitalism Works”, January-May 1979. “The Great Crash of 1929”, October 1979. “The Economics of Unemployment”, September 1980. “Capitalism’s Crisis Cycle”, October 1982. “Marx’s Financial Articles”, December 1983. “Crises, Booms and Slumps”, March l991. Karl Marx, Capital, Volume I, especially Part VII. Karl Marx, Capital, Volume II, especially Part III. Karl Marx, Capital, Volume III, especially Part III and Part V.
Karl Marx, Theories of Surplus Value, especially Part Two, chapter XVII. Ernest Mandel, Marxist Economic Theory, Volume 1. Thomas Sowell, Marxism: Philosophy and Economics, chapter 6, 1985. Sydney Coontz, Productive Labour and Effective Demand, 1965. Anton Pannekoek, “The Theory of the Collapse of Capitalism”, Capital and Class, Spring 1977.